When you find the home of your dreams, it can be tempting to move quickly to sign documents to get the process started. And, in some exceptionally straightforward transactions, an attorney isn’t needed. But (and this is a big “but”), there is no way to know ahead of time which transactions will go well, and which ones won’t. Only hindsight can provide that insight. Good agents can answer many different questions about the contract portion of the transaction (and there are many outstanding agents! ), but not every agent is as well versed as you might like. Even the best agents can’t help with legal matters. Agents want to get the most money possible for sellers because their commission is based on a percentage of sales, so as a buyer, you need to walk a tightrope as you decide how much information to get from the real estate agent and how much you gather independently. Included items: Will items such as appliances and light fixtures stay in the home? Inspection contingency clauses: What if the inspection indicates the home contains hazardous waste? Asbestos? Radon? Termite damage? Timing: If you commit to having the loan closed by a certain date, what will you do if the loan gets delayed through no fault of your own? If the loan goes through but the seller’s new home isn’t yet ready for him or her, will you receive rent for those extra days of seller occupancy? After all, you’re now paying at least mortgage interest on the loan. Taxes: What are the tax consequences of your buying a home? Or of selling your previous home? Issues that may arise: What happens if the sale doesn’t go through, perhaps because the home didn’t appraise for enough for your loan to go through (Are you still liable for the purchase? Are you sure?)? What if, through the title search, it is discovered that a disgruntled ex-spouse has an interest in the property but isn’t interested in selling? Buying a home is an exciting time, but one where you need to make sure all is communicated clearly and in a legal fashion. Vague terms can lead to misunderstandings, which can lead to significant financial and legal consequences. 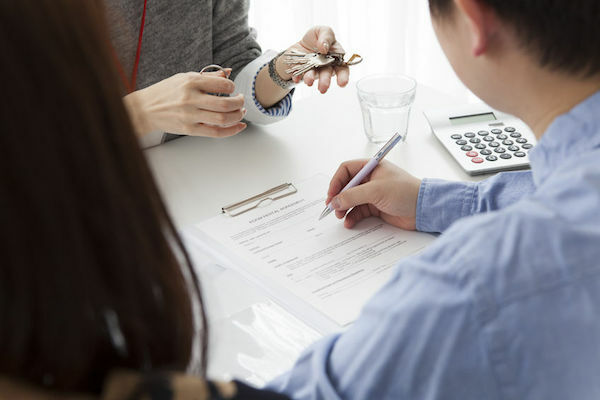 If you’ve carefully considered the questions and situations posed in this article, then the value of an experienced real estate attorney is already crystal clear. You can help your employees navigate the sometimes-bumpy process of buying a home by offering them a group legal plan. If you have questions about setting up a voluntary benefits plan for them or are ready to get started, simply contact us online or email info@uslegalservices.net or call 1.800.356.LAWS today.